Ontario NPs with expertise in palliative and end-of-life care can now apply for the Palliative Care Facilitated Access (PCFA) program. The program allows eligible NPs to independently prescribe high-strength, long-acting opioids for those receiving palliative care. 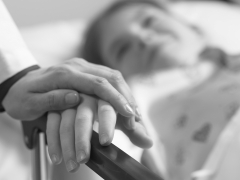 Through this initiative, those in need of palliative and end-of-life care will have better access to care and will have better ability to cope with the symptoms, pain, and physical stress of a terminal diagnosis. Eligible NPs who wish to register as PCFA prescribers can do so now through RNAO at myRNAO.ca/PCFA.